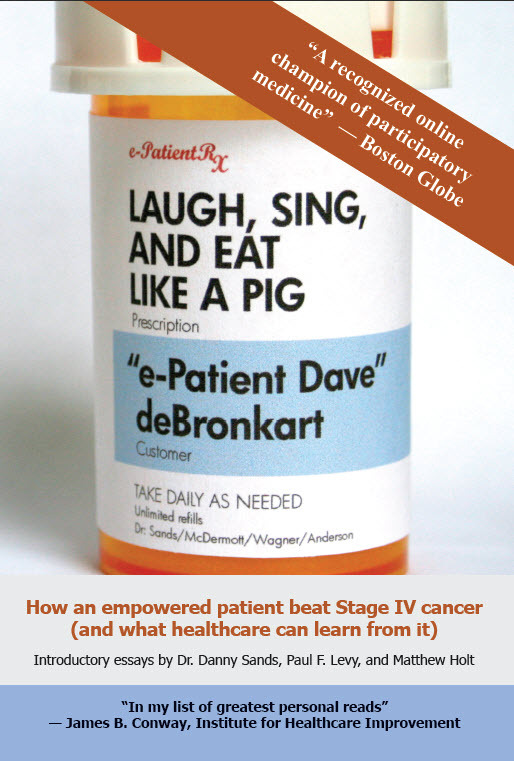 The big news is that my book was released a month ago: Laugh, Sing, and Eat Like a Pig: How an empowered patient beat Stage IV cancer (and what healthcare can learn from it). Here's the listing on Amazon UK. The advance praise has been inspiring. I've traveled a lot in recent months, speaking, attending policy meetings in DC, and meeting with people doing good work in healthcare. My schedule page is here. One of my favorites is that in October I'll be attending the fabulous TEDMED conference in San Diego, serving as an analyst for the Robert Wood Johnson Foundation. These are truly wonderful people with [big] fingers in many great healthcare projects, including Aligning Forces for Quality - a multiyear project that's already developing great data on how we can do healthcare better. 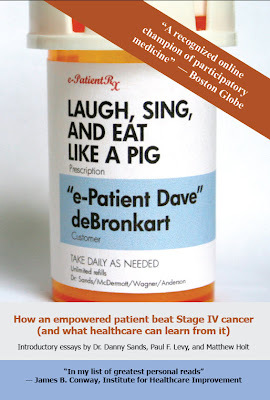 There's more; explore my website, or heck, just google "e-Patient Dave." :–) As I say, it's been busy and wonderful. 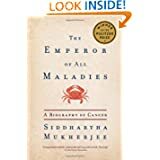 I'm particularly grateful to Klick Pharma, my client who produced the superb short version of my long story, which I posted here in June. They're exquisitely skilled, they really get it about patient engagement, and they're carrying the message forward skillfully. Thanks to all of you who've been so supportive and encouraging - especially you who've provided paying work, to keep this "project" alive. Here's to better health for all!